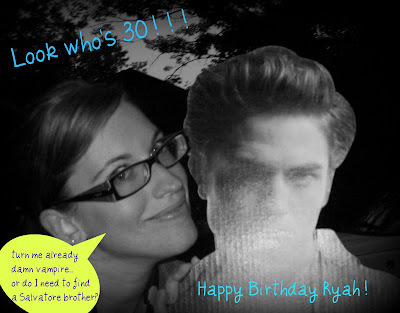 The Shiny Vampire Club: Happy 30th Birthday Ryah!! Hope you get some fancy lead and tight leathers, ya dig? Hhappy Bhirthday, leelan! I love you! this makes me sad, because last year I was there to celebrate your birthday!! I hope you have a fantastic day! Thank the blessed Scribe Virgin! I'm 30! Hope your Birthday CONTINUES to be Fab!